This long board has a traditional shape template combined with delicately knifed 50/50 rails providing perfect release, speed and manoeuvrability. 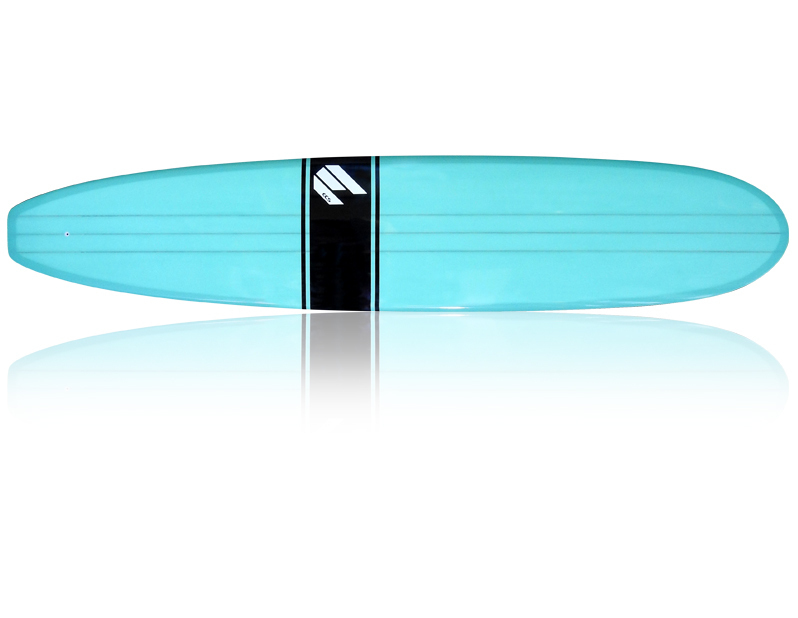 The board has a conservative nose to tail rocker and thoughtfully foiled volume encouraging smooth trim through critical sections with ultimate control off the tip. The wide nose, slight rail to rail concave and flat planning bottom make nose riding a dream. Standard lay up 6+6 oz glass on the deck and 6 on the bottom.